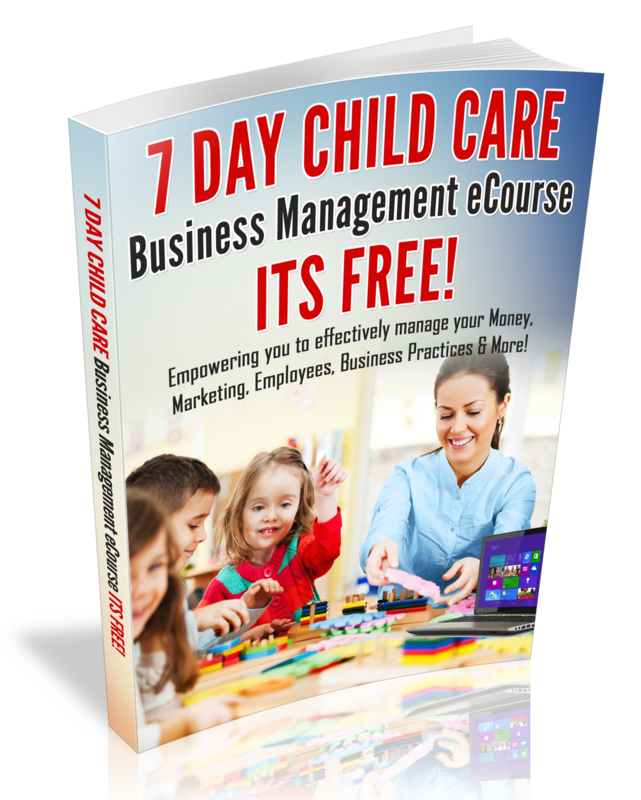 Recently, I have been asked the following question by many Child Care Business Owners: How do I get parents to pay on-time? This is a tricky question, because it takes many different strategies to get parents to pay on-time and today I want to share one strategy with you that I use every week to let parents know that I am serious about collecting payments on-time and that is by posting a Tuition Due sign! Every Monday I display my Tuition Due sign on the sign-in table where parents can see it. Also in small print you will see the words: If you have already paid your tuition for this week, please disregard this notice. Having a Tuition Due Notice displayed on your sign-in table is a great way to enforce your tuition policy and also a great way to remind parents that payment is due. In the event that a parent fails to pay you after leaving the program, you have a right to send that family to collection or even collect your fees in small claims court. However, be sure that your failure to pay terms are clearly defined in your childcare payment agree and that you verbally tell parents about your collections procedures upon enrolling their children. I hope this tip has inspired you to get diligent about collecting payments on time and you can start by creating a Tuition Due sign. On-time Payments= Consistent Cash Flow in Your Business. In my 14 years of being a Child Care Business Owner I have discovered this: Your ability to connect with others has a great impact on your Business success. In fact, as I discovered how to connect with parents…. my relationship with my parents improved. Also, when I expanded from a home provider to a center, I noticed that my turnover rate was very high. I was informed that childcare centers have high turn over rates. For some reason I could not accept that answer. Recently, I did some reflection about my past staff turnover rate and I asked one of my long time employees this question: What do you think has impacted my turnover rate? I was so glad, that I humbled myself and received feedback from one of my best employees. In fact, her feedback was so valuable to the success of my center and she was glad I asked. However, I was not shocked to hear that response, because I knew that it was time for me to work on connecting with my employees and become a better listener. I shared my experience with you, because it is so common for Employers to be insensitive to their staff and I was one of them. That feedback, has helped me to move forward knowing the truth and not walking in denial. It’s so easy to blame your staff, however, as a leader; you must first look at yourself. I strongly believe that everyone is not meant to be on your team, however, it is vital that you continue to grow as a leader so that you can attract and retain great people. If you are having difficulty building strong relationships with your team or parents, it could be that you simply need to educate yourself on how to connect with others. It is always my pleasure to share from my journey and I hope that this post has been of great value to you. In 2008, I bought the book, Winning with people by John Maxwell and that book empowered me to connect with difficult people and to improve my people skills. Recently, I decided to listen to the book as a refresher, so that I can continue to focus on building healthy relationships as I move forward on my Business Journey. I want to share the Audio Book: Wining With People With you. (The audio book is below).